Spring is here and so are vibrant beautiful spring flowers. Here is my Springtastic or Easter inspired nails I created using the Nail Art Dotting Tools, Essie nail polishes in Fiji and Mint Candy Apples, and Sinful nail polishes in Pink and Light Green. 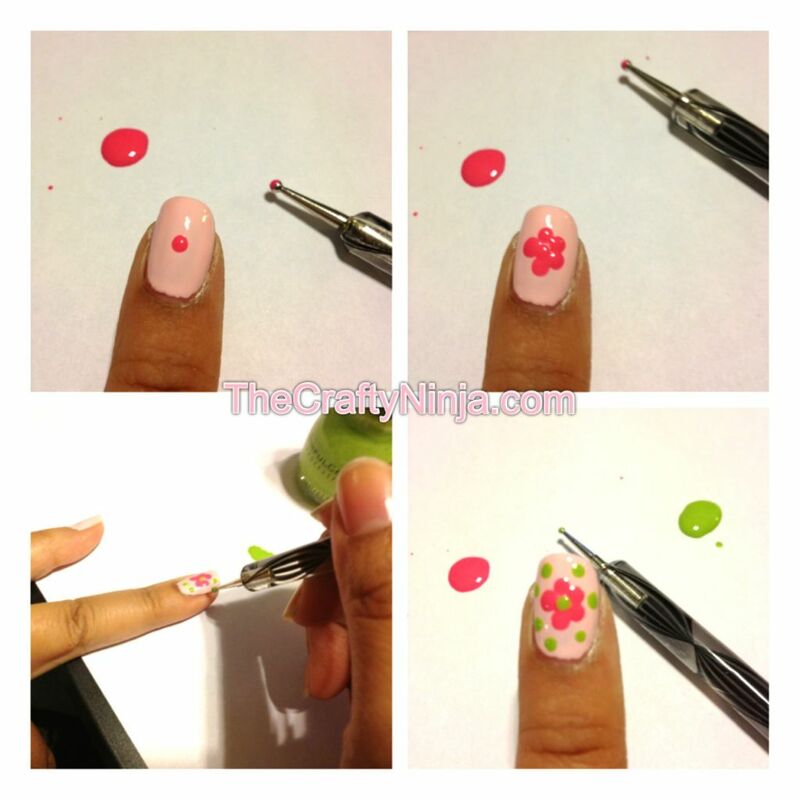 Here are directions on how to create nail art flowers using the nail dot tool. First use a clear base coat, then a color for your base. On a piece of paper add a dot of nail polish. 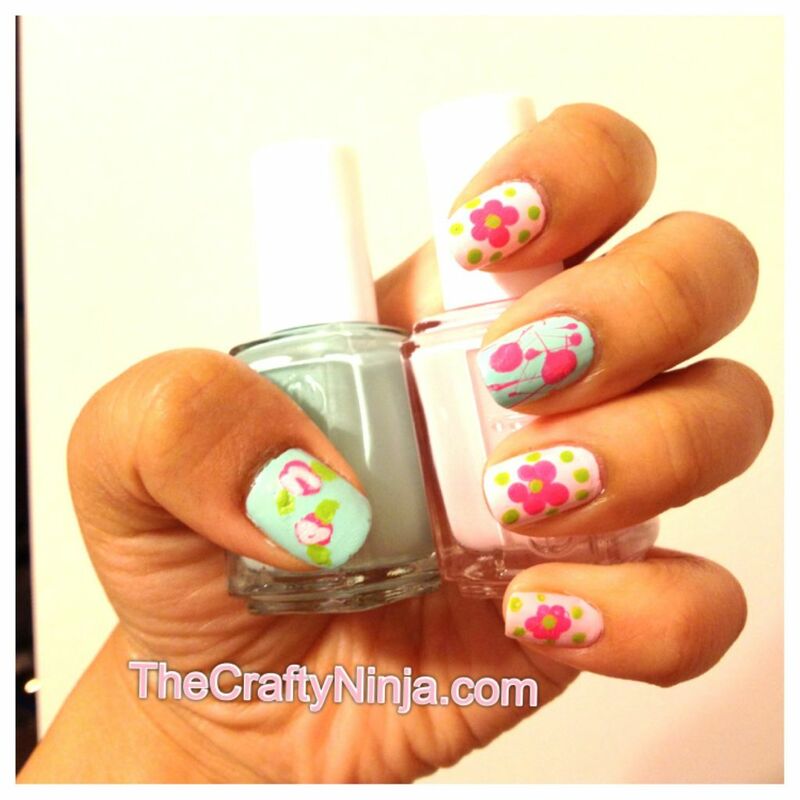 Using your Nail Art Dotting Tools, dip it into the nail polish and add a dot in the middle of your nail. Then dip the dotting tool each time you add a dot for the petals, repeat until you have five dots around the center. With a second color add polka dots and re-dot the center. Add a clear top coat to protect the nails and your done!